This year is going to be a challenging year with all the new tax law reforms. 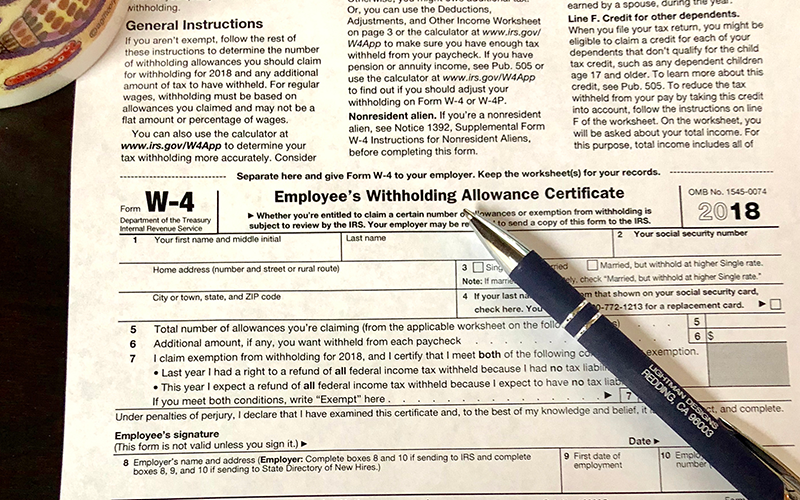 It’s time to look over your withholdings on your IRS W-4 form. The new 2018 form was just released last week and we see several changes that could affect you at the end of the year if you don’t get this right. Many standard deductions have changed and tax brackets have been adjusted. Here is a link to the new form and a link to an online calculator that the IRS has put together. Make it a priority and don’t put this off.